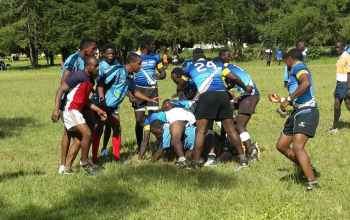 On the eve of the Nationwide final set for Saturday 19 May 2018, home team Masinde Muliro University of Science and Technology (MMUST) are exuding confidence, and are ready to host visiting Kitale RFC, a game that starts from noon. 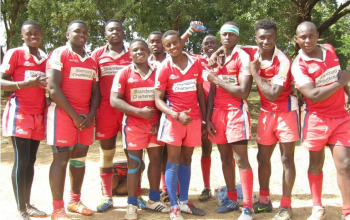 MMUST and Kitale earned promotion to the second tier KRU Championship for next season by virtue of going past Eldoret RFC and Swara in the semis last weekend, respectively, as they booked the Saturday final. 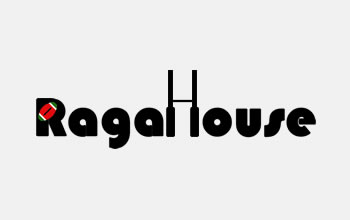 Speaking to Raga House, MMUST skipper Sameul Mbeche states their season is not over yet as they wish to crown it with a crown and to give their fans 'something to cheer' as they transition to more competitive rugby next season. MMUST, the Western region champions this season, carry an impressive 15 match unbeaten streak, one that Mbeche say they will 'not be giving it up' to Kitale. "We already achieved our target of qualifying for the Championship but we have to give our fans something to cheer as we close the season,"
"We have a few knocks here and there but nothing major to warrant any rests. We will limp on to the pitch with the injuries as we go for the trophy,"
"We already met our objective for the season which was to qualify for the Championship. It will be a feel-good final and we are very well prepared for it." MMUST expect a ful house for the game with arrival of some players who are out on attachment in time for the game. 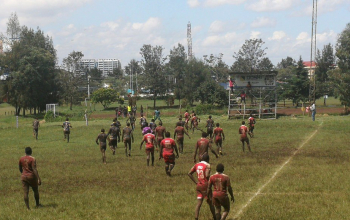 They are however certain to miss the services of flanker Brian Njeru who is bereaved.